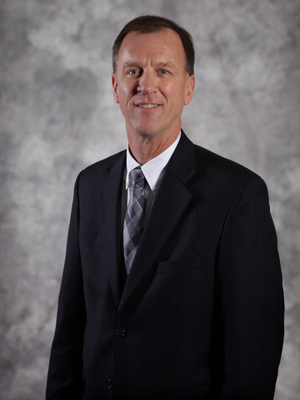 Steve is a Principal in Scheffel Boyle’s Edwardsville office and first joined the team in 1983. He is one of the most experienced leaders of the firm’s Audit and Assurance department, as well as a senior member of the Employee Benefit Plan service niche. Although he works with a variety of clients, his specialty is audit and assurance engagements for governmental bodies, employee benefit plans, non-profit organizations, and for-profit entities. Some of his clients include local counties and municipalities throughout our region. Steve is a valuable resource for our team at Scheffel Boyle and leads regular training programs for the younger staff. By utilizing his professional knowledge and experience, we can ensure that all our team members are up-to-date on the latest assurance regulations and industry practices. Steve grew up in Hamel, Illinois and raised his three sons in the Edwardsville area with his wife, Vic. In addition to his professional work at Scheffel Boyle, Steve is an active member of the Goshen Rotary and has also served on the Board of Directors for Metro East Lutheran High School for many years. He and his family are also regular participants in the Scheffel Boyle Shares initiative and give back to a variety of local causes and organizations in the Edwardsville/Glen Carbon community each year.